The Denver Public Schools Foundation is determined to help every child succeed. When they look at DPS alum Lupe Tarango, they know their programs and partnerships in the Denver community are indeed working to help every child find and reach their potential. Lupe, a 2017 graduate of North High School, is now studying at Duke University on a full scholarship. Her mother never went to high school. Lupe looks at the lack of opportunity that her mom faced as a child and is determined to turn things around for herself and make her mother proud. Her mother is very proud. Everyone who meets Lupe is affected by her drive, her intelligence and her grace and kindness. “My mom is a strong Mexican woman and because of her, I am a strong American woman,” Lupe said. Lupe went to Columbian Elementary in Denver. She finished her middle school years at Skinner MS and then, graduated from North High School in 2017. “My leadership grew with me as I went on with high school,” Lupe said. “My sophomore year, I was the Student Council President so I planned homecoming events and pep rallies. During Lupe’s junior year, she joined the Student Board of Education in which she teamed up with Denver Water to help raise awareness to water usage. Through her role at the Student Board of Education, Lupe worked to establish the Culturally Competent Curriculum program which created classes that were more relevant and engaging to the student body at North HS. Also during her time in high school, Lupe worked with the homeless at the Denver Rescue Mission and with Colorado legislators to have a bill passed that would allow the voting age to be lowered to 16 (the bill failed). But it was her time as an intern in the dialysis unit at Denver Health Medical Center where her interest was peaked into a future career in medicine or health policy. Lupe has yet to declare a major at Duke. After working with children as a teacher aide in Durham Public Schools, Lupe is considering pediatrics. Lupe is currently working in an Alzheimer’s research lab in the Duke University School of Medicine. Lupe is also intrigued by the field of health policy. So, at the end of Lupe’s freshman year, Lupe is traveling to Sri Lanka with Duke’s Global Health Institute. That curiosity of wanting to know more was really brought out of Lupe through the opportunities provided to her though the DPS Foundation. As the fundraising partner to DPS, DPS Foundation builds relationships within the community to provide resources that can help students achieve. Through DPS Foundation, Lupe has mentors who are in leadership at Western Union. 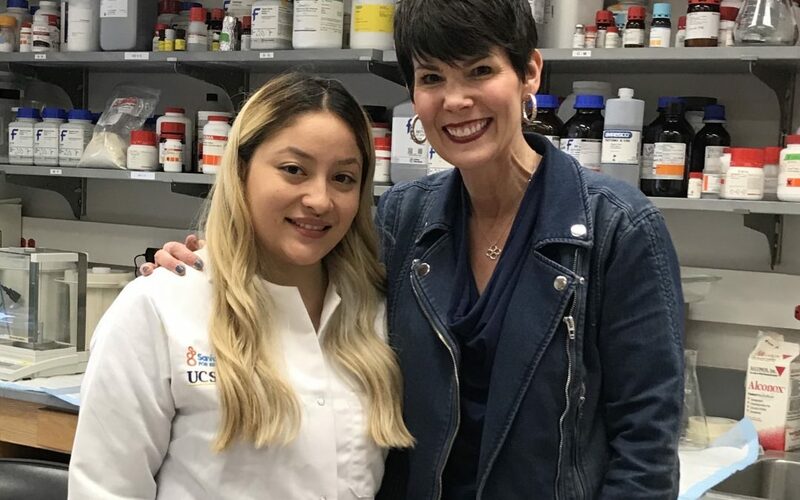 Leaders at United Airlines who met Lupe and were impressed with her focus helped her with travel vouchers so she could visit the colleges she was interested in attending.